In my last home I cooked on a gas range for the last six years. 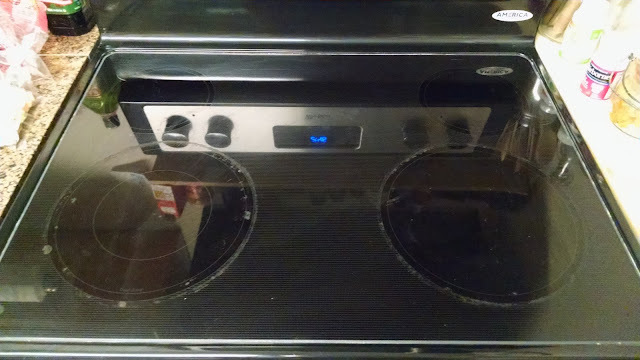 When we moved into our new home last year, I inherited a glass cooktop that I had never used before. 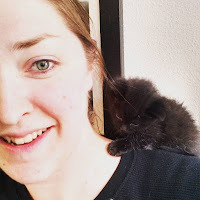 Quickly, it became grimy and lost it's shine. I tried cleaning it with my Method all purpose cleaner which made it shinny and took off most the grease and grime, but it didn't get all the stains off around the burners, so I tried another method using baking soda I would like to share. 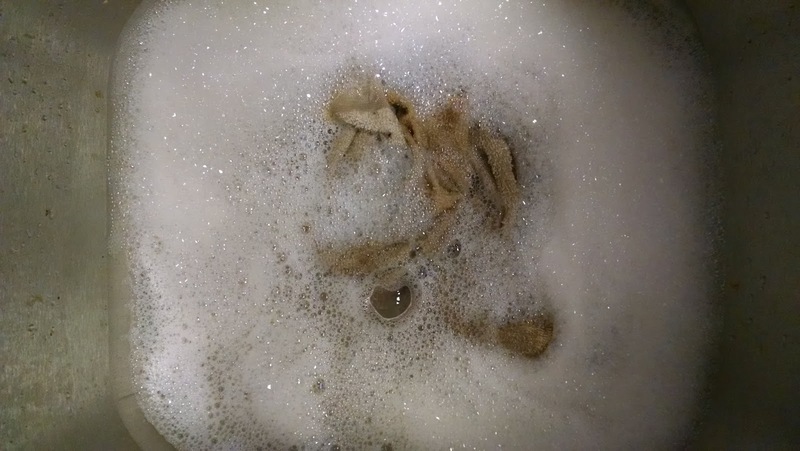 First, soak your rag in warm water with dish soap. Last, scrub down the top gently with the rag, making sure you get all the making soda off the top. 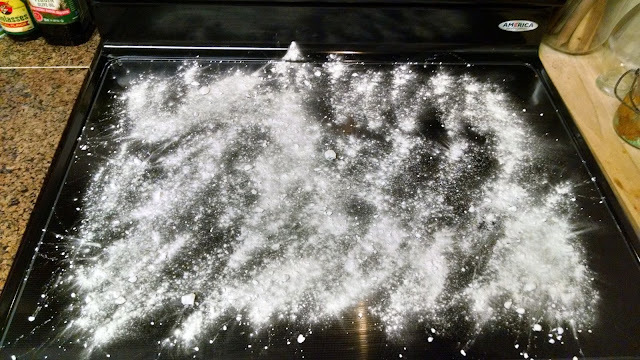 You might need to use a second rag to remove all the baking soda. 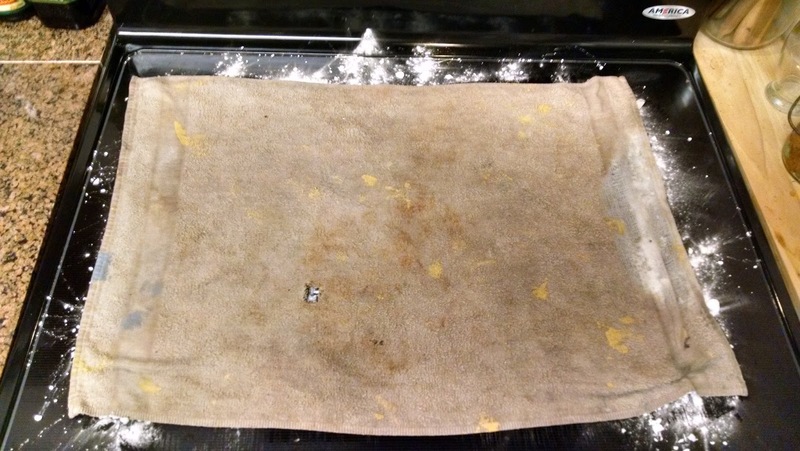 Your cooktop should be super clean, but I found that it left a film on my top and it took forever to get the baking soda off. I had to clean it multiple times, which was time I didn't need to spend. 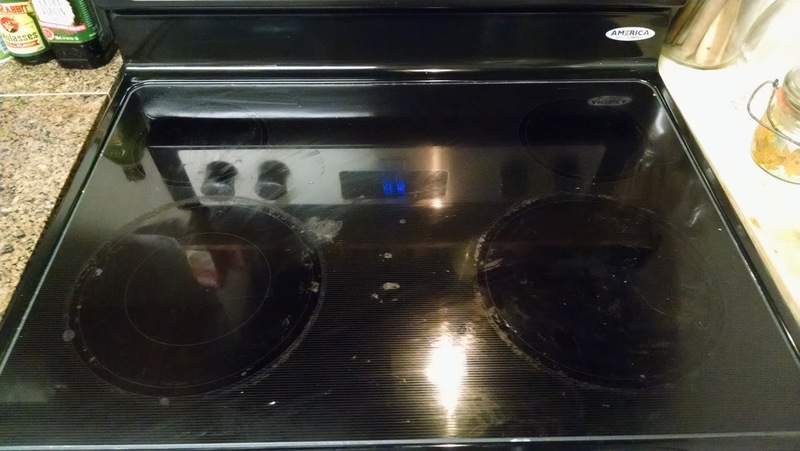 In the end, the stove top didn't look any cleaner than if I had used my Method cleaner. Try it for yourself and let me know if it worked better for you or if you have a better way of cleaning your cooktop, please, I'm dying to know what it is. Send your emails to Shendersonphoto(at)gmail.com so I can try out your way of cleaning your stove top.